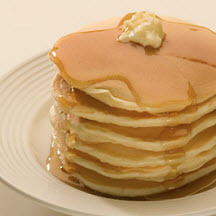 CooksRecipes has quality, kitchen-tested recipes for a variety of buttermilk and plain pancakes that you can count on for successful deliciousness. 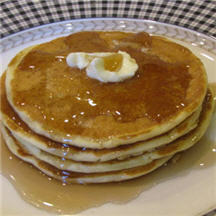 These easy, lowfat and delicious buttermilk pancakes are so tender they're almost as light as air! 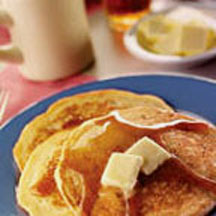 The vanilla yogurt and buttermilk contributes to the tenderness of these pancakes as well as giving them a subtle sourdough-like flavor. These homemade pancakes are so light and fluffy. Make them occasionally for supper as a special treat! Serve with your favorite toppings.